You are here: Home / NEWS / Is Sony Xperia XZ a Good Fit for Mobile Entrepreneurs, Even With a Lower Resolution Screen? One of the features mobile entrepreneurs look for is portability without sacrificing functionality, and this generally means smaller smart phones. 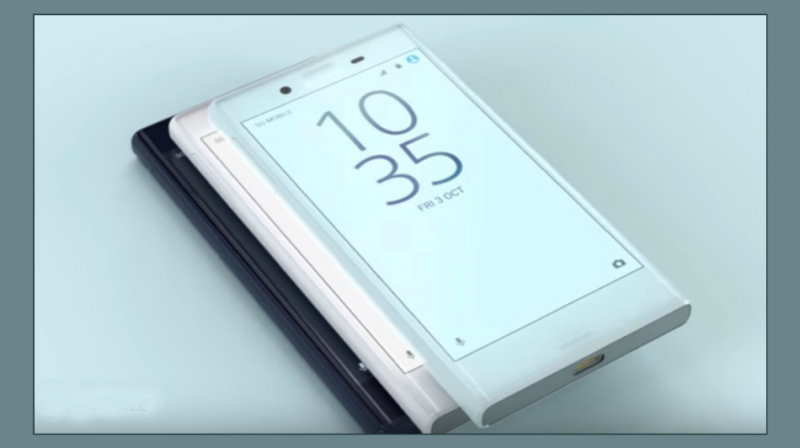 But currently the market is trending towards large devices, which makes any new small flagship phone stand out from the crowd, and that is what Sony (NYSE:SNE) has done with the Xperia XZ and X Compact. Sony has been having a hard time making any kind of headway in the smartphone market. As a matter of fact, the company doesn’t even show up in the top 10 of global vendors. Nevertheless, the company’s pedigree and name has many hoping it will wow customers once again like it used to before smartphones came along. Unfortunately, the new phones are getting lukewarm reception, which will give mobile entrepreneurs pause before they think about buying the XZ or X Compact. And while the price was not available from Sony, a British retailer has the XZ at £457.50 ($607) and the X Compact at £315.83 ($419) before taxes, not cheap! So What Will $607 and $419 Buy You? The Xperia XZ is, according to Mashable, the melding of the Z and X-series phones into one. And like those phones it has a powerful processor. This time around it is Qualcomm’s Snapdragon 820 processor with 3GB of RAM and 32/64GB of storage, which can be increased to 256 GB with a microSD card. While the processor is top of the line, the RAM and storage leave much to be desired. As a frame of reference, the ZTE Axon 7 has Qualcomm’s Snapdragon 820 processor, 4GB RAM, and 64GB storage for $399. The other features of the XZ include a 2900 mAh battery, and a 5.2-inch display with only 1920×1080 resolution. With image quality one of the foremost concerns of power users, the 1080P can’t compare favorably to the Quad HD screens being used by almost all of the top flagship and mid-range phones. Where the Xperia XZ shines is in the camera department, with a 23 MP rear and 13 MP front camera. Sony’s triple image sensing technology and 5-axis SteadyShot stabilization system make taking quality pictures a snap. The Exmor RS is a highly sensitive image sensor with Phase Detection Autofocus for fast and accurate performance. The sensors extend to the Predictive Hybrid Autofocus technology which has been designed to track objects as they move automatically. The water proof feature is back on the XZ only, with an IP68 rating that allows it to be submerged in 5 feet of water for up to 30 minutes. The X Compact is smaller, and the 4.6 inch display produces a meager 720p HD, which again is a feature that could sway powerusers to look elsewhere. The phone is powered by a Snapdragon 652 processor, and it also includes 3GB of RAM and 32GB of internal storage that can be increased to 256 GB with a microSD card. The rear camera of the X Compact is the same as its larger counterpart, but the front camera is only 5 MP. It has a 2700 mAh battery, which is supposed to deliver up to 14 hours of talk time in 3G. Another big hurdle Sony will face in the US is the lack of a fingerprint sensor, but it is available globally. The logic behind this move is still a mystery considering how important this technology has become in light of the security threat in the digital environment. If Sony was looking to increase its dwindling market share with these phones, it may have a hard time making it happen. The price, lack luster features, and missing components that are now standard on low tier phones will not motivate mobile entrepreneurs to make these phones their first choice. The Xperia XZ and X Compact will be available in the U.S. on September 25.